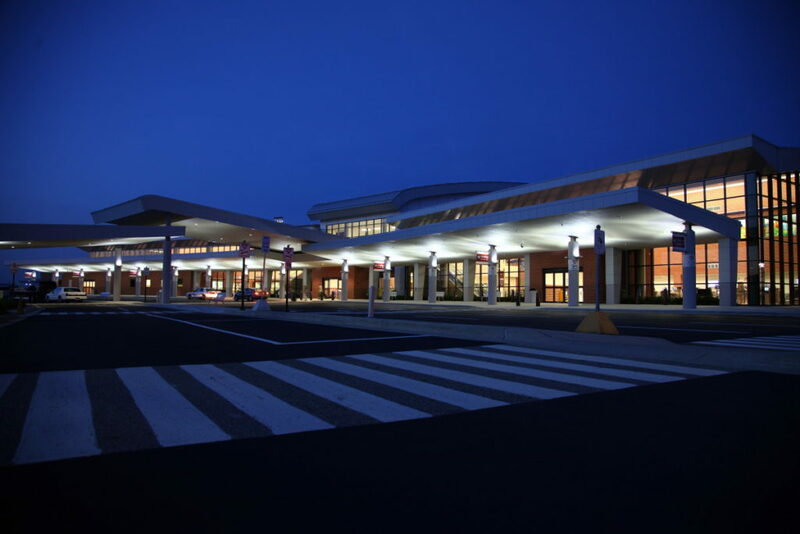 Kalamazoo/Battle Creek International Airport - Byce & Associates, Inc.
Design Program: This new facility replaces the existing terminal built in 1958. 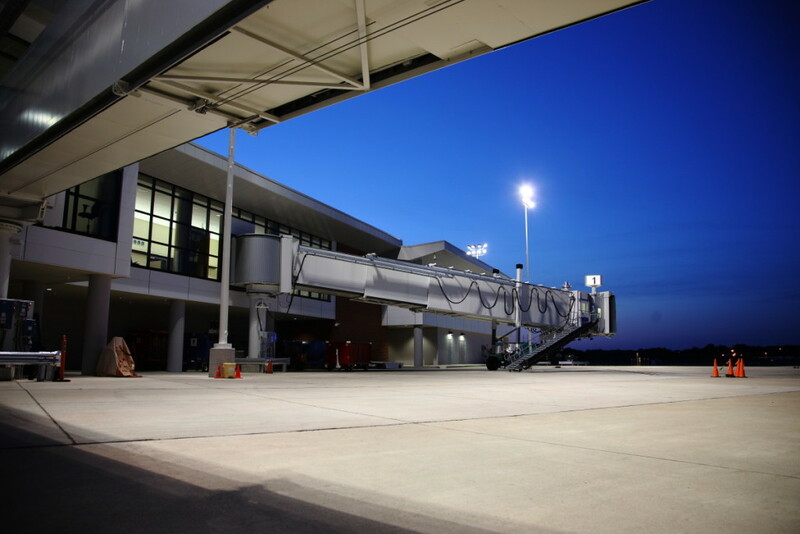 The program includes five passenger gates with enclosed elevated sky-bridges, one ground loading position, concession areas, airline ticketing offices, bag screening, bag claim devices, engineering support area, TSA support areas, information kiosks, meet and greet areas, along with car rental stations. 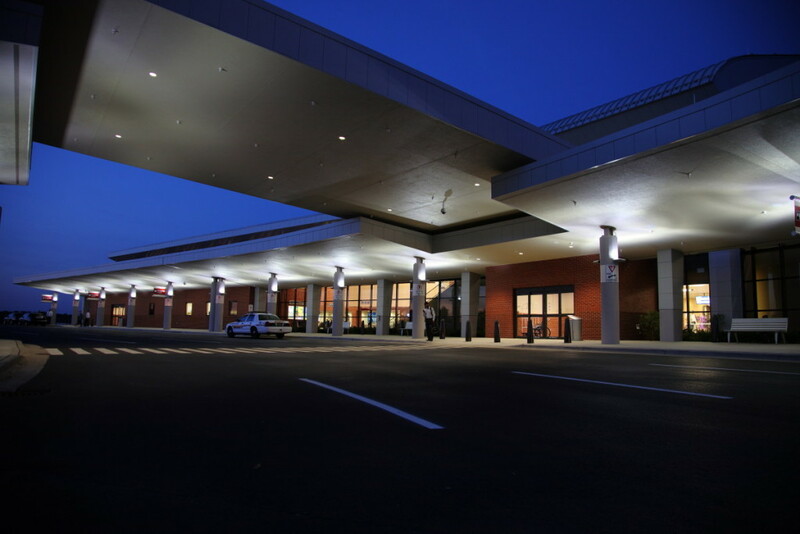 The terminal building has efficient drop-off and pick-up zones, departure gates designed for easier travel and a modern security system. 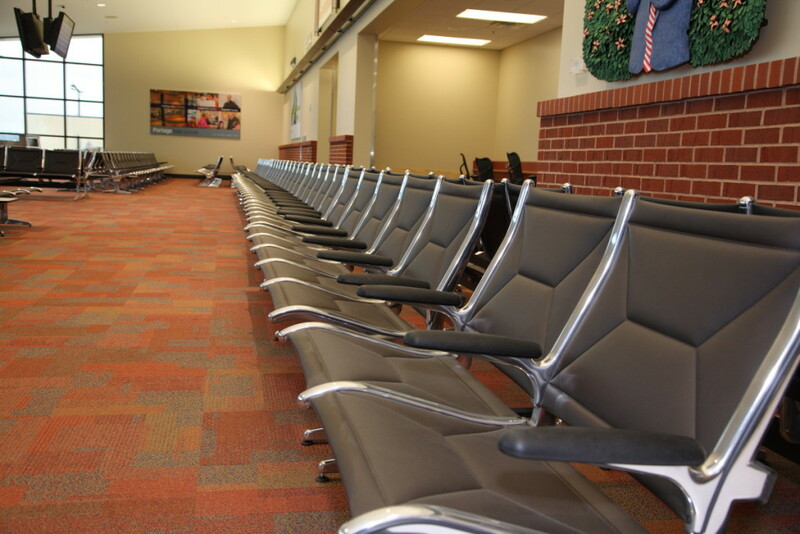 Departures and arrivals are on the upper level. 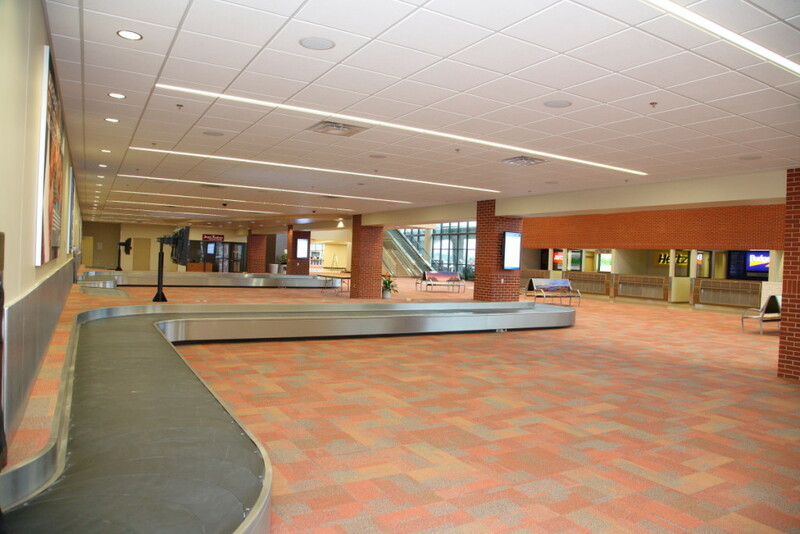 The new two story building has an expanded security check point, covered pass boarding, and an expanded baggage claim area. The terminal consists of a continuous open space that is expandable in two directions. 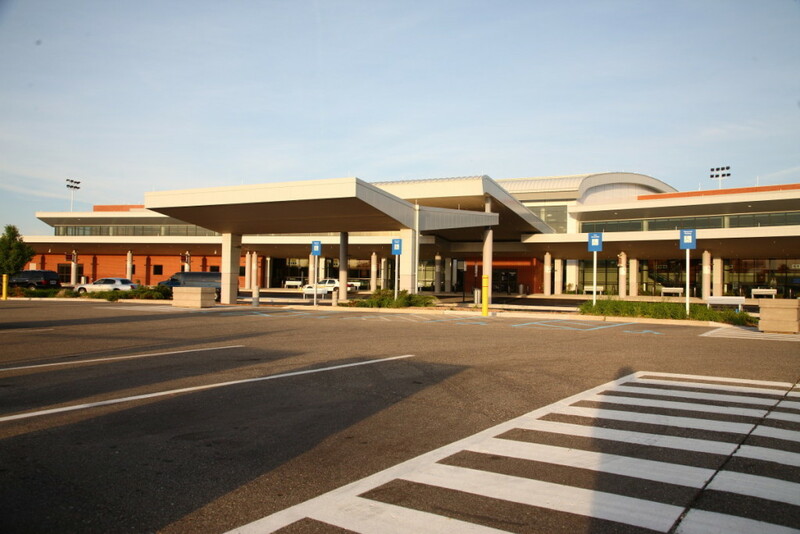 The center of the terminal contains a bridge that links the airside functions above to the vertical circulation connecting the lower lobby spaces with the upper functions. The project also includes the replacement of existing fiber optic infrastructure. 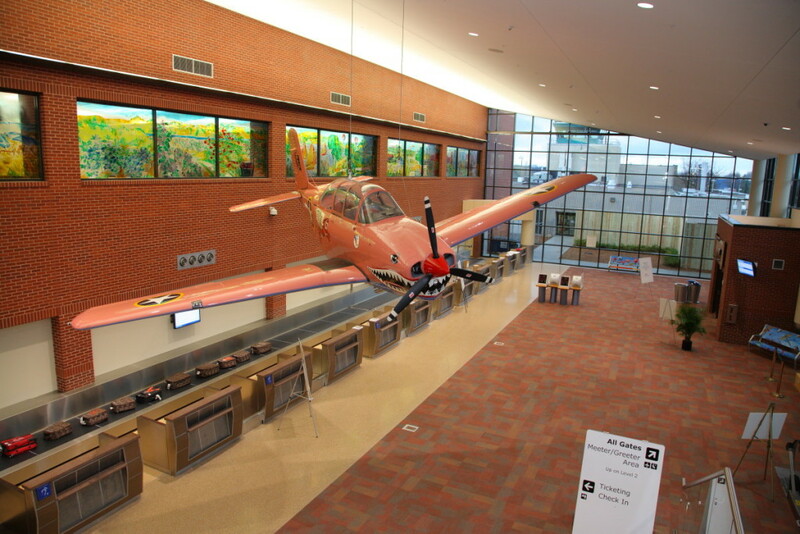 Byce & Associates, Inc. also provided commissioning services for the new Kalamazoo / Battle Creek International Airport. The process began with in-depth design reviews of the mechanical construction documents. Construction checklists will be developed for the commissioning team to complete as their systems were finished. These pre-functional checklists serve as quality control to verify all equipment is installed properly before systems are put into operation. Functional testing will be led by Byce & Associates, Inc. Testing procedures were developed to verify performance of all mechanical systems, and the implementation of these performance tests was the heart of the commissioning work. In addition, test and balance of the air and water systems will be verified through random samplings of these systems. Design Challenges: The design challenges included the issuance of multiple bid packages and early release of bid packages as part of the funding development plan. The impact of any design modifications needed to be traced back to all the bid packages. Close coordination with the FAA was required in the replacement of the fiber optic infrastructure.